President of the Republic of Serbia H.E. Mr. Aleksandar Vucic attended ceremony of the formal opening of the Trans Anatolian Natural Gas Pipeline (TANAP) in the Turkish city of Eskisehir. Upon the invitation of the Turkish President H.E. 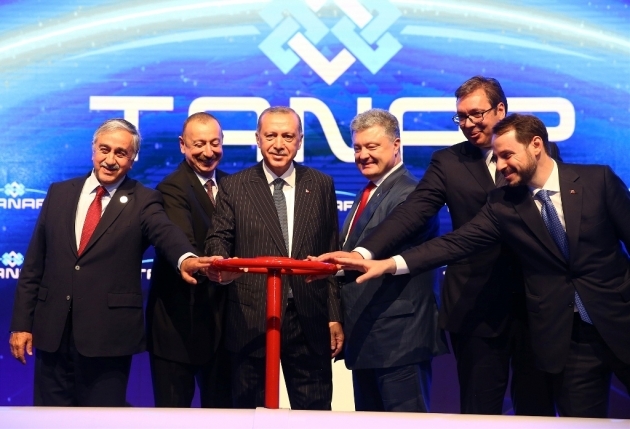 Mr.Recep Tayyip Erdogan,next to which he stood on the scene, President Vucic together with presidents of Ukraine and Azerbaijan opened the TANAP by symbolic turning on a vent of the pipeline. 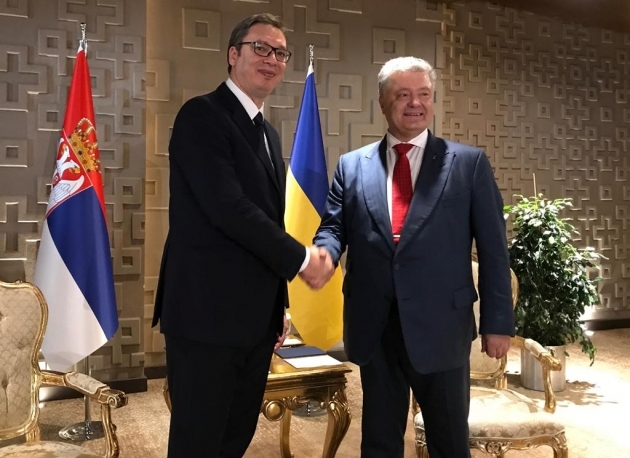 During the ceremony President Vucic held a speech in which he pointed out that this project will prevent the energy isolation of the region of the South Eastern Europe, will contribute to the energy connectivity of this part of Europe, as well as to positively affect the investment climate and to encourage the arrival of new investors to the countries of the region. While opening program, President Vucic had separate bilateral meetings with the presidents of Ukraine and Turkey. The improvement of all kinds of the cooperation aspect, especially, the economic one, was the main subject of the meetings.